For the 2018-2019 NFL season, our Vikings seem at first to be a team with very few weaknesses. With a newly revamped offense coming together under Mike D-Flip, who had an astronomically awesome season under Doug Pederson in Philadelphia guiding the forgotten Nick Foles to Super Bowl glory, and almost every piece of our young, #1 overall (yardage allowed/Points against, as well as top-3 in many other categories) defense returning, there is no reason to believe this isn’t our best chance at becoming world champions. Here is my predictions for how the roster shakes out. Offensively, there is a lot of room for excitement. We get a remarkably above average, consistent player under center in Kirk Cousins. Cousins has his share of detractors but if you look at his numbers, he compares favorably with most of the league. In his 3 years as a starter in Washington, he has started every game. He has also been very consistent, with increasingly weaker weaponry to work with. His O-line has been sub-par at best in his last two years. Washington lacked any sort of dynamic run-game. And what little they had receiving the ball, has either gotten injured or traded away. It’s not as though he had a good defense to work with, which could protect leads, or buy time for an offense that may stumble from time to time. In Minnesota, that will be a different story. Starting with Dalvin Cook’s return. The exciting dynamic rookie should be on pace to fully participate in offseason activities, and eventually for the start of the season. Even with the loss of Jerrick Mckinnon, Minnesota has one of the more scary backfields in the league, as long as Dalvin can return to around the player he was before his ACL. Latavius Murray did a nice job and continued to get better and better last season, and should provide a nice 1-2 combo with Dalvin. In terms of Weaponry, Minnesota has a far superior outlook compared to the last few seasons in Washington. Thielen and Diggs have made a name for themselves, and people know what they can do. Thielen has been Mr. Dependable, and Stefon Diggs is not only electric, but quite fearsome. The addition of Kendall Wright adds a dynamic new piece that can be a nightmare if those three can learn how to become interchangeable. While Laquon Treadwell has already been written off as a bust by many, he has yet to demonstrate that he lacks the capability of becoming an impact player for the Vikings. With strong hands and another year under his belt, maybe a new Quarterback is all he needs to flourish. Kyle Rudolph also provides a scary red-zone target that every fan is hoping the new QB will find a strong chemistry with. The Vikings have not neglected the offensive line either. After drafting Pat Elflein last season, and adding two solid veteran Tackles in Rieff and Remmers, the Vikings decided to spend another early pick on an O-lineman. Brian O’Niell from Pittsburgh is likely in more of a wait-in-the-wings situation for the time being. He is extremely athletic for a OT, as he played TE when he was younger. If he can add some strength and develop well in the classroom, the Vikings could be looking at the O-line as one of the strengths of this football team…. For the first time, in a LONG time. Rashad hill played well as a backup RT when Remmers went down last season, and I would expect one of them to take the RT role this year, while the other takes the RG role. Nick Easton, who is valuable for his versatility, will most likely start at LG this year, and provides an insurance policy incase Pat Elflein goes down. Danny Isidora & Tom Compton provide some quality depth options, in the inevitable event that one of our starters go down. We also added a late round rookie OG in Colby Gossett. Defensively this team should be more ferocious than ever. With almost every single player having another year of knowing Mike Zimmer’s Defense under their belt, it should be natural that the players begin to think less, and play faster and more instinctively. Already with last years #1 overall defense, Zimmer’s crew has only gotten stronger this season. The only player that is not returning from the outstanding squad that led the league last year is Tom Johnson, while the Additions of Sheldon Richardson (FA) & Mike Hughes (1st round draft pick) give Zimm two new shiny toys to plug in. There really are no true weaknesses to this defense on paper. With the outstanding depth on the D-line heading into the season, its easy to see how a more rotation-oriented approach will do wonders to supply fresher legs on the field at all times. With absolute playmakers across the board along the starting front, Zimmer will have the luxury of being able to mix it up big time, to wreak havoc on opposing front lines. Linval Joseph is the anchor of this defense. Almost no lineman can handle him one-on-one, and with the addition of Sheldon Richardson, teams will have very stressful decisions to make on who to chip and who to throw the double on. Both players realistically require a double team to control them. When you add all-pro caliber ends in Hunter and Griffen, this should be hands down one of the best front-4 in the league. Everson Griffen was on a roll last year, racking up a sack in every game for the first half of the season. While Danielle’s sack totals weren’t quite as high as in 2016, he is continuing to be just as impactful. Teams should find it extremely difficult to run the football, as well as executing 7-step drops. Every one of these guys can blow up a one-on-one and be in the backfield in seconds. When you add Zimmer’s exotic Double-A gap pressures from Barr and Kendricks, Corner blitzes, and the roaming terror that is Harrison Smith. The potential avenues of shutting down the run are limitless. The D-line may be the deepest unit on this football team this year. Brian Robison adds serious quality veteran savvy and leadership, and should thrive in this role where George Edwards can pick and choose his spots and ensure freshness. Recent draft picks Jaleel Johnson (2017) & Jalyn Holmes (2018) certainly possess the physical tools necessary to become great players. And with 4 all-pro caliber starters to learn from, any contributions from them will be a huge plus. Veterans Stephen Weatherly, and Taquon Bower will add some depth in the event of injury. Anthony Barr and Eric Kendricks have quietly become one of the most outstanding LB duos in the league. They are both extremely versatile, fundamentally sound, and instinctual players. They have a certain synergy that can be seen on Sundays. While both have been exposed at certain times in coverage, overall they both have very good cover skills for LBs. Both are very instinctual players with a nose for the ball, and with the D-line in the prime of its impactfulness, these two will be in place to make a lot of plays. With Ben Gedeon having another year under his belt, he may be able to step up and take on a larger role. Already as a rookie he got a lot of snaps. Eric Wilson is intriguing player who adds great quality depth for us. He is a great athlete, and with the quality level of the guys in front of him, he has a lot of opportunity to learn. If one of our starters goes down, rest assured we get a solid plug-and-play guy, who just may be able to show that hes a big time playmaker. Late round draft pick Devante Downs, and and a handful of undrafted rookies will compete for a long-shot roster spot to add depth. I see us keeping 5 LB's this year on the 53. Our secondary has 5 players selected in the first two rounds; Smith (2), Rhodes (1), Waynes (1), Alexander (2), Hughes (1). Xavier Rhodes has blossomed into (if not the) one of the best corners in the game the last three years. He is literally coming into his prime, and it’s very exciting to think that he can still get better. He is literally a shut-down corner. He has been tasked with following the game’s best around the field and has excelled, holding the likes of Antonio Brown and Julio Jones to almost a 0-impact by blanketing them with tough, sticky, physical coverage. In most situations he does not need help, which frees the safeties to focus on other areas for insurance. Trae Waynes had a slow, rocky start coming up but last year he really came into his own. Under the guidance of Xavier and Terence Newman, it’s obvious he has learned a lot, and he is a more cerebral corner. Terence again will return becoming one of the oldest players to enter the season. He will be counted on to continue to help develop the crop of young talent, and teach them what it means to be outstanding pros, as well as making a few plays that he shouldn’t be making at that age. Mackensie Alexander has undoubtedly benefitted from his wealth of knowledge, and last year I think Mackensie did a very solid job at the nickel spot for us. 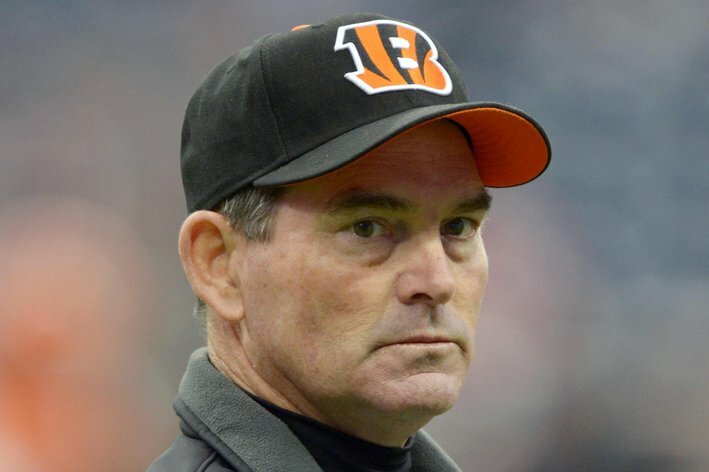 He has a lot of talent and will definitely not roll over and let Mike Hughes take the job. With a somewhat surprising pick in the draft this year, Zimm & co. decided to spend the 30th overall pick on another talented corner in Mike Hughes. He appears to have the capability of playing nickel or outside, which gives Zimmer and Jerry Gray unbelievable depth and flexibility at this position. No doubt, he will start as a backup in the secondary, Mike will provide an immediate impact on the field as an extremely dangerous returner. He also has a knack for finding the ball, and no one should be too surprised if he starts working his way into the rotation towards the later part of the year. This group is loaded and could sustain an injury to any of the starters, without a dramatic dropoff. 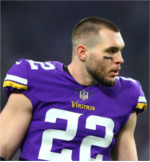 Harrison Smith has been the best safety in football for at least a couple of years now. He literally can do damage anywhere on the field. Back deep, in intermediate coverage, at the line of scrimmage. What makes him so dangerous is he literally can be anywhere, and the way he has learned to instinctually disguise his looks under Zimmer, is nightmare fuel for QBs. As devastating against the run as he is sound in coverage, Harry is one guy on this defense that we really can’t afford to lose, due to everything that he brings to the field. I’ve been hard on Andrew Sendejo, his partner in crime over the years. At times he can be a human missile/torpedo and you think “wow, why even have arms if you’re not going to wrap up”. But admittedly, he has improved his game, and is reliable in coverage. He has started finding the ball more, and while he is still laying devastating missile blasts, his tackling form is showing to be more sound these days. Anthony Harris provides key depth at the position, as he can step in and be a playmaker at both safety positions. With Terence Newman’s age, it will be interesting to see if he gets any looks at safety should one of these two go down. Also, Jayron Kearse who has been outstanding on special teams the last few years and with all this time under some great talent, he may be able to step in and be a difference maker at some point. The synergy of this defense should be outstanding, with all-pro talent at almost every position. If this team can fruitfully pursue more takeaways (not at the expense of sound fundamentals), then this could be an all-time unit this year. While there is much to be said for last year, and as magical as it was, there is plenty yet left to be desired. The 0-17 blown lead against NO in the divisional round. The uncharacteristic dud that the defense layed in Philly the week after. The lack of turnovers, and a weak +/-. Also with so many moving parts on Offense, will there be a comfortable chemistry and will this unit be able to gel? Starting with the offense, there isn’t much depth behind really any of the units. WR/RB/O-Line/TE/QB. If any of our key starters were to go down this year, I wouldn’t have the sort of rock solid confidence that the next man could step up and allow us to not miss a beat. Beyond Elflein, Rieff, Remmers, Easton, and Hill, are there any players who could make a difference on the O-line and really not be a liability? If Thielen or Diggs goes down, can Treadwell or Kendall Wright carry the load? Is David Morgan a viable redzone target if we lose Kyle Rudolph for 7 weeks? How about If Dalvin or Latavius go down, there is not a lot of talent in the stable, and we sure don’t need the Ronnie Hillmans of the world carrying the ball for us for any extended periods of time. Heaven forbid Cousins misses his first significant amount of time (or even 1 game for that matter) in the last 3 years, could we even try to have hope with Trevor Semian as the starter? I think not. So while this unit has a lot of potential, and there is good reason to be excited, we are literally 1-2 injuries away from having a very middle-of-the-road offense. Defensively, its not all golden either. There are big questions to answer. How did we allow the Redskins or Panthers to drop 30 on us? /what about the 17-point blown lead in the playoffs. Or the embarrassingly bad showing in Philly. Luckily for us, these seemed more like mental lapses, rather than being physically beaten by lack of talent, etc. I would seriously question the capability for this squad to win it all, if we continue to see uncharacteristic moments like this popping up throughout the 2018 season. This is an excellent read. Thank you for posting. Nice write up, very optimistic. We will need all that talent this year, I think we have the hardest schedule I have ever seen. Wow nice write-up, that must have took some time. I agree with you that the starting roster looks good but we have some big depth concerns. You touched on most of them but I think NT and LB are also very thin. Great work 84. Fun read. Have to disagree about the Redskins OL . Yes they were dismantled by injuries in 2017 but still graded better than the Vikings. They were ranked #7 in 2016 and #11 in 2015. Also, the Redskins were loaded with weapons in 2016. Has anyone heard on progress on extensions for Barr, Diggs, etc? I am looking forward to seeing how Cousins and Sheldon Richardson impact our team. We are talking about major change in the overall feel of our Offense, in particular, due to Cousins and De Felipo. I also sense that we may have a big showdown with GB this year and the rivalry will be especially intense given the way the Rodgers whined about Barr's hit last season. That's exciting. Excellent write up! I would say Holton Hill and Zylstra are more fringe players than camp bodies. You could even make a case for Badet. is like a tall winfield.